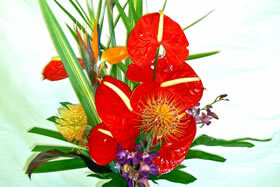 A Special Touch Florists: serving Lahaina and West Maui with quality floral arrangements and cut flowers. West Maui Delivery available. We serve Lahaina and all of West Maui with the finest in tropical fresh flowers and floral arrangements for every occasion. 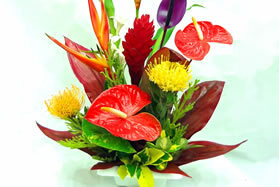 Tropical Arrangements, Maui Wedding Flowers, Sympathy Flowers, Gift Baskets . . .
We are a local Maui florist that specializes in Hawaiian tropical flowers, wedding flowers, shipping of tropical flowers, funeral/sympathy flowers, leis, balloons, gifts, fruit baskets, snack baskets, munchy baskets, roses, and more! We deliver our flowers promptly and efficiently to all of West Maui – please call us at 808 661-3455 for rates and delivery times. 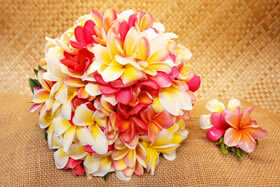 Call us for flowers for your Maui wedding. 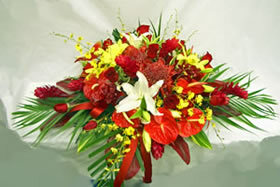 We create traditional, tropical and custom flower arrangements for weddings. 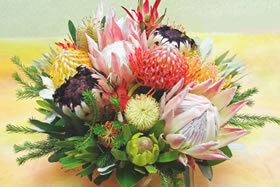 Our fresh and dried protea arrangements are very popular with our customers – exotic, dramatic and long-lasting! 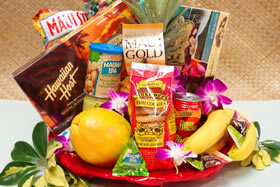 We offer Hawaiian gourmet baskets in various sizes for your gift giving – the gift sure to please! Our Hawaiian fruit baskets feature fresh Hawaiian fruits and are excellent for gifts and parties. Our very popular tropical flower arrangements are perfect for party centerpieces, special events or just to brighten up the house! 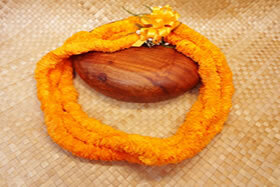 Nothing floral says Hawaii like a fresh flower lei! Check out our selection of hand made fresh flower leis – perfect for visitors, grads, dads, moms, and as a great way to say “aloha”! 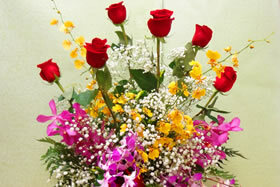 We offer special floral arrangements for each season. Here is a selection of arrangements generally available during spring. Nothing is as romantic as roses, and whether you need a simple dozen or a glorious full bouquet, A Special Touch has them! We’re a family-owned business that is professional, reliable and the longest running in West Maui – since 1985! There is a reason that A Special Touch is the favorite florist of many of Lahaina’s most discriminating flower lovers – we provide excellent flowers, excellent service and punctual delivery – try us, you’ll love us! 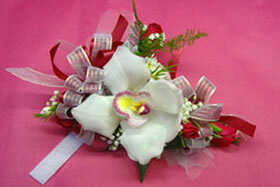 Let us know your floral needs and we will exceed your expectations! Please call us at 808 661-3455 for questions or to place your order.